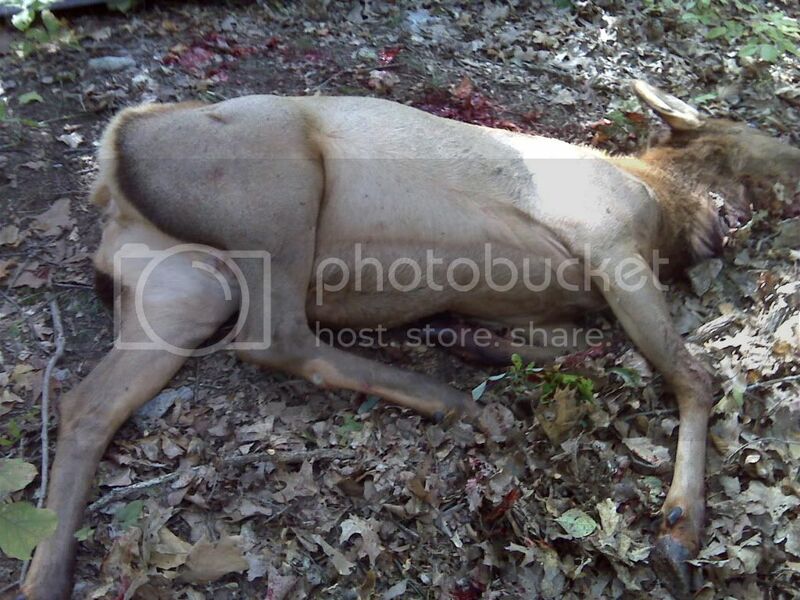 I shot an elk cow yesterday on a cull hunt. I used a 9.3X62 loaded with a Norma 232 grain Vulcan. I attempted a shot at the junction of the head and neck at about 100 meters. 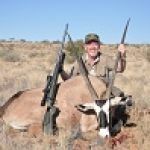 The bullet struck the cow frontally on the tip of the chin and exploded, failing to penitrate deep enough to reach the spinal column. The elk made about 3/8s of a mile leaving a good blood trail were she layed down and I finished it off. Will use a less frangible bullet on anything larger than deer in the future. Here is a picture of a real nice bull a friend shot on a elk ranch about a 100KM from where I got mine. 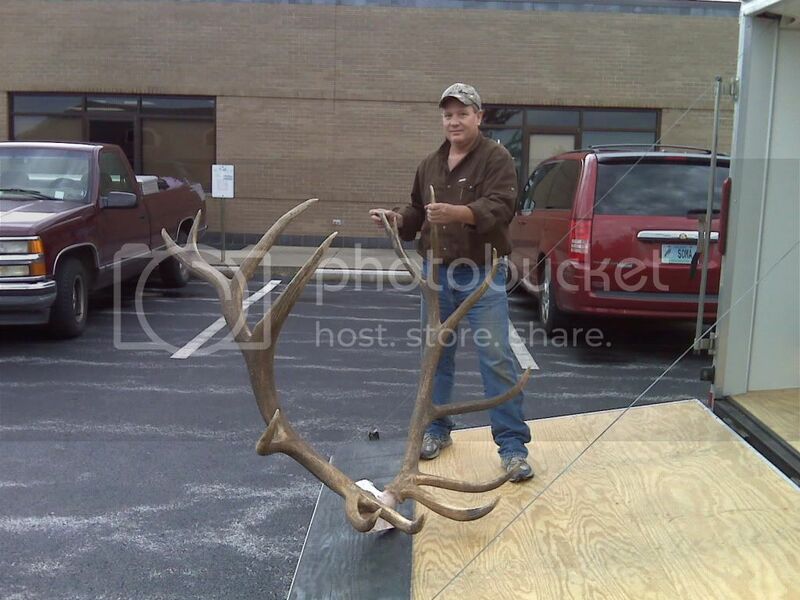 Jims bull rough scored 447 inches. Congratulations. I suggest that you should use the Oryx bullet next time, if you like to continue with Normas bullets. Good that you found the wound shot cow! As Börje said, use a better bullet next time. For my sake I would hesitate to use a Vulcan bullet on any more sensible target than a piece of paper. good shooting, good bullet placement, wrong bullet, change one of the three and you´ll be good to go. A cow has to be better eating than a large bull. The hanging weight of the carcass on my cow was 295 pounds, that was less innerds, head and hide. Norma Vulcan is a great bullet of its type, it´s all about speed of the bullet at impacct and the resistance it hits. I´ve shot several game with Vulcan and have nothing to camplain about, all died quickly. I was digging through stuff yesterday, and found four boxes of 156 grain 6.5 Vulcans, and one box of 156 Alaskas. I need to work up some loads in my BBF97 for those. They need low speed to come to their right thats my experience. Still my time here has made me a Hornady shooter. If you need help ( I dont think you need any ) call me. I figure they ought to sail right through the 45 to 70 KG deer, living in my back yard. Corjack skrev: I figure they ought to sail right through the 45 to 70 KG deer, living in my back yard. I live in a fairly remote area, forested with oak trees. Safety is always a concern, but the 400 square meter property I own, is surrounded on three sides, by much larger pieces of uninhabited land. It is perfectly legal where I live to shoot on your own property, and I do so several thousand times a year, always being aware of the direction of my fire of course. börje skrev: Congratulations. I suggest that you should use the Oryx bullet next time, if you like to continue with Normas bullets. Hippies, hippies... they want to save the world but all they do is smoke pot and play frisbee! Haha, never seen that one before =) "-1"